The wait is finally over. 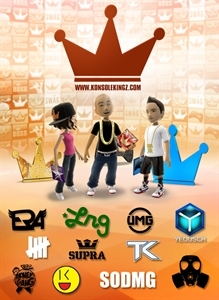 The Konsole Kingz Flying Crowns premium theme is in the house. Outfit your friends channel with 7 crown environments, and represent for KKZ! Für diesen Inhalt gibt es keine Rückerstattung. Weitere Informationen finden Sie unter www.xbox.com/live/accounts.